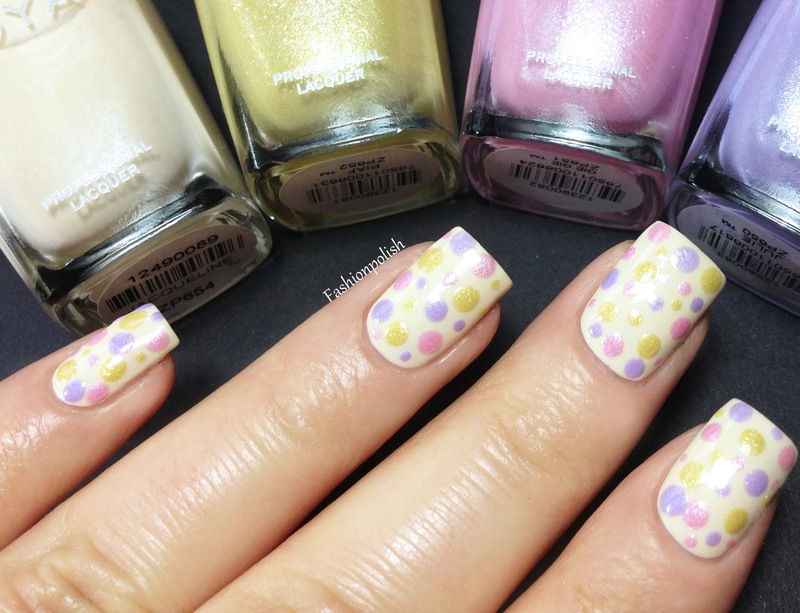 Fashion Polish: Zoya Lovely dotted nail art! Zoya Lovely dotted nail art! I don't like it that much when I get stuck in traffic, can't go out shopping or even go to work! Well, yesterday I had to stay home because I didn't want to risk spending hours in traffic jam and I made the most of my day by swatching, of course! I'll post the Zoya Lovely review in the very next few days but in the meanwhile, here's a simple nail art I did using Zoya Jacqueline as the base and Piaf, Gei Gei and Julie for the dots. And here's one last swatch with a matte topcoat! Don't you just love how good beautiful pastels look together? I hope you've enjoyed this manicure, I can't wait to post the full review! Very cute! I think that you captured the complete feel and aesthetic of the Lovely collection in this manicure. It's perfect for spring! Adorable mani! Great for easter too! Wow It's snowing on your blog! How cool is that! But anyways; I really like the dots & colors, there so cute! Now this is gorgeous! Such a cohesive collection, they work so well together. Love it! Sooo adorable and cute. Love it! So simple, yet so gorgeous! These colors compliment each other so well! Great collection! I've never bought any Zoya polishes, but this collection is seriously calling my name! I definitely plan on buying these with my 20% off coupon at Ulta!! this nail art looks so cute!!! i love polka dots!!! I love this manicure. Don't love snow though, mainly because of the same reasons you do. And I prefer higher temperatures, lol. Can't wait for spring to come! BEAUTIFUL manicure! Will be trying this soon!